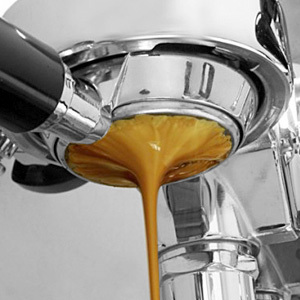 We at 1st-line Equipment specialize mainly in espresso machines. All the models we carry are carefully selected by our staff. When you speak with one of our knowledgeable sales reps can they find for you the right espresso machine for your home kitchen, office break room, or cafe bar. One of the key components for making a good shot of espresso is having a good espresso grinder. Whether you are on a budget or want the best of the best, we can pair the right grinder with your espresso machine. We also carry equipment for brewing methods other than espresso. This also includes: electric drip, french press, Neapolitan, pour-over, siphon / vacuum pots, and Turkish. We recently have added frozen beverage machines to our list. The machines that we carry from S.P.M. are capable for making soft serve and are great for the summer.